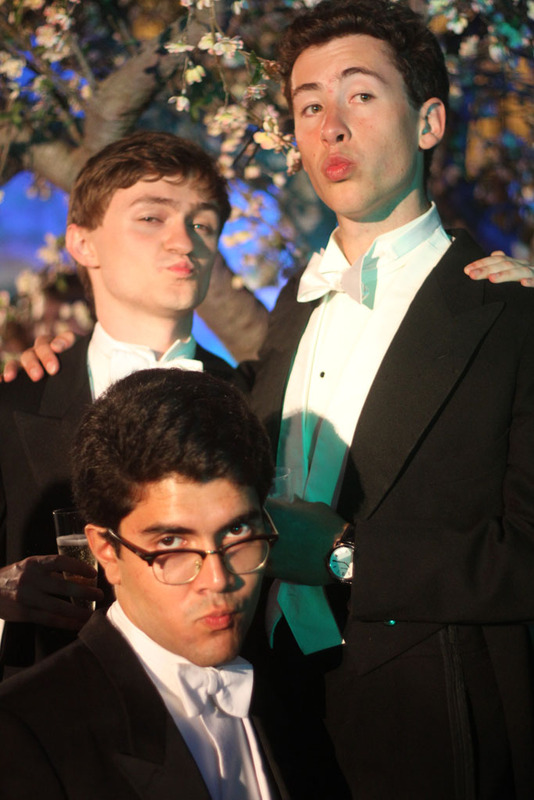 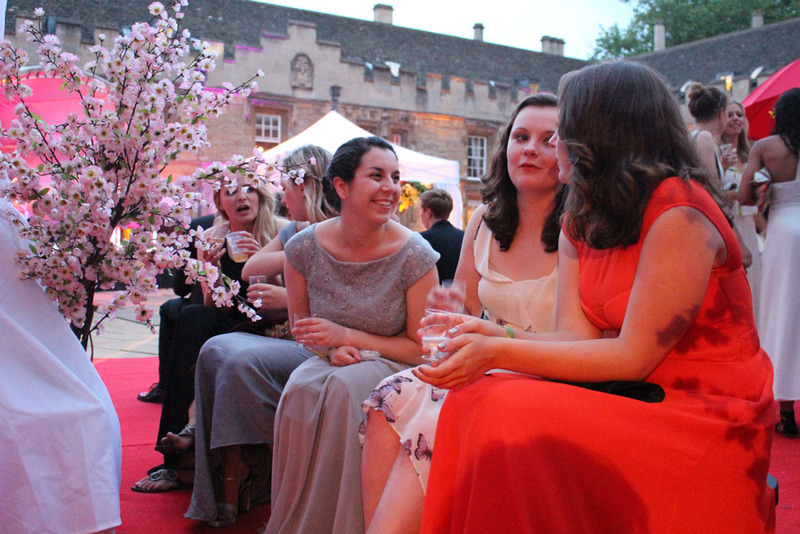 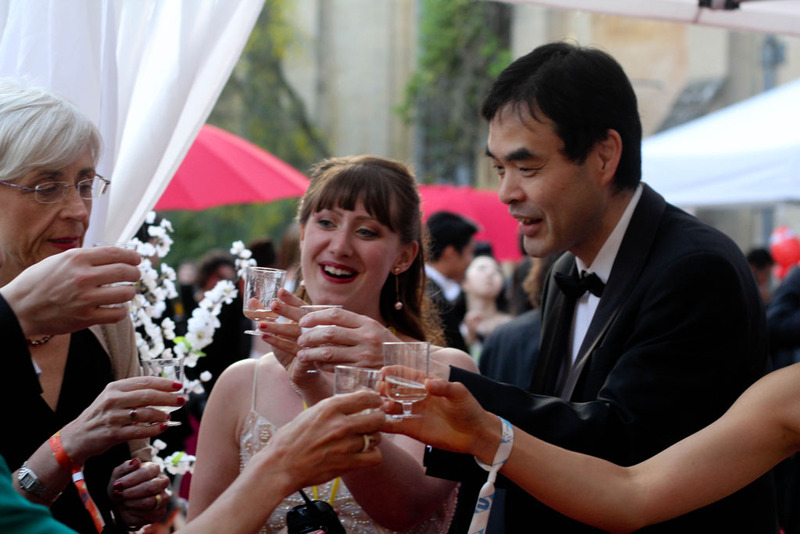 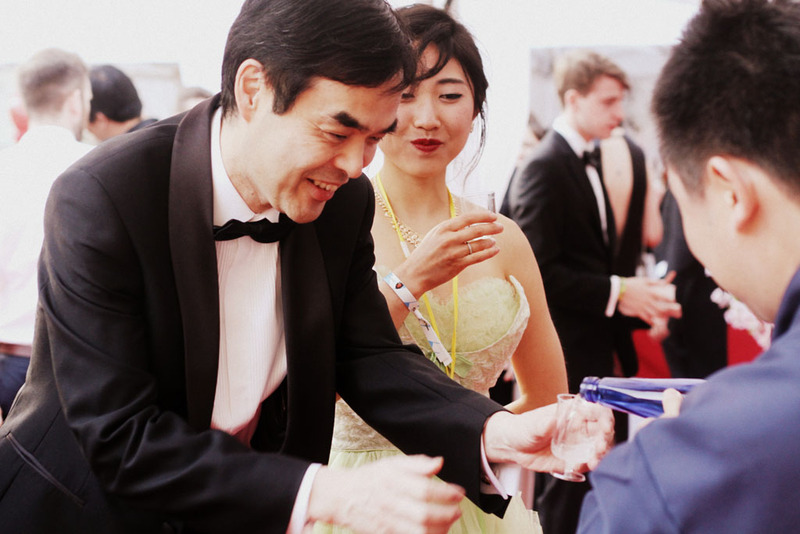 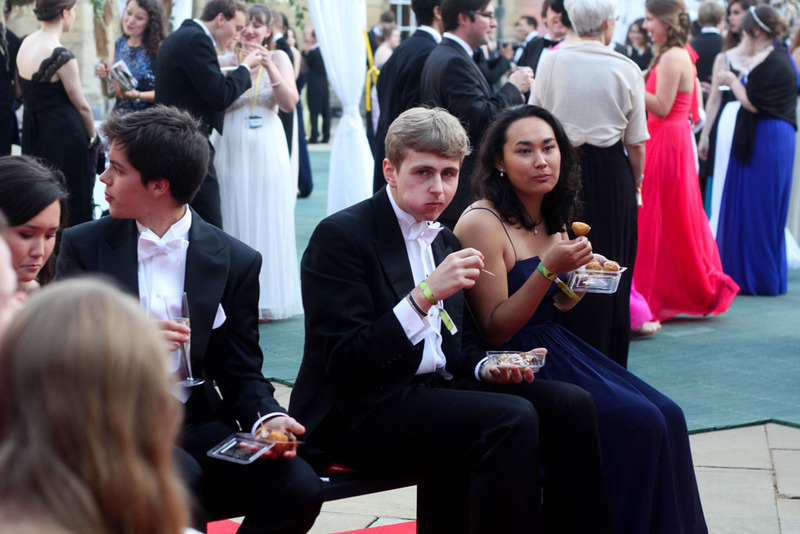 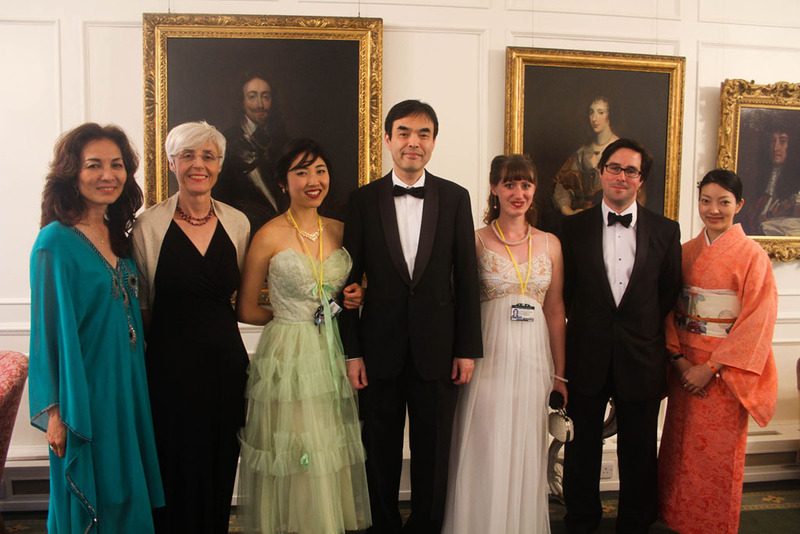 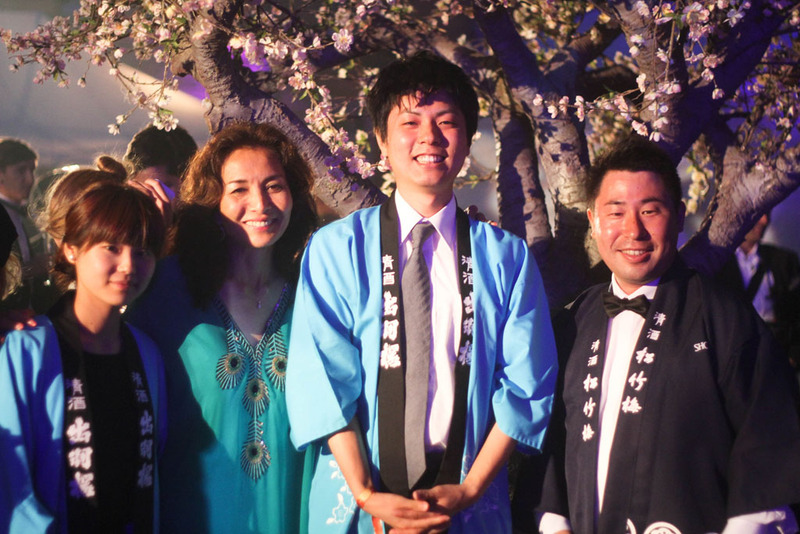 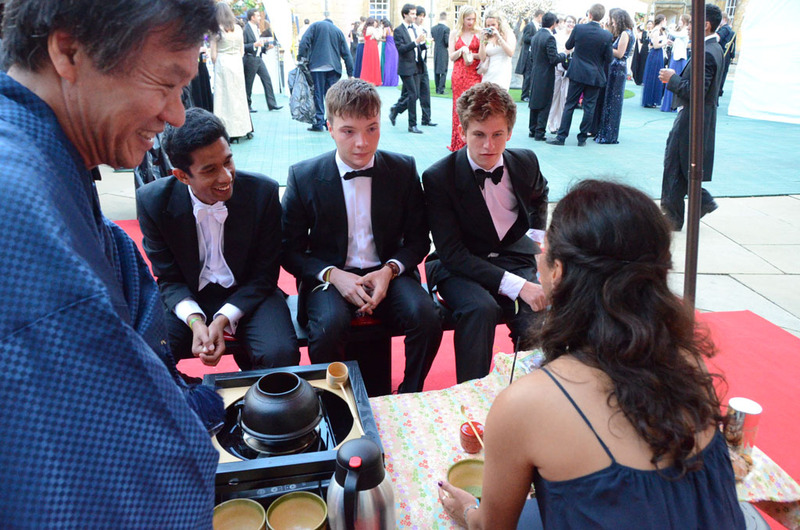 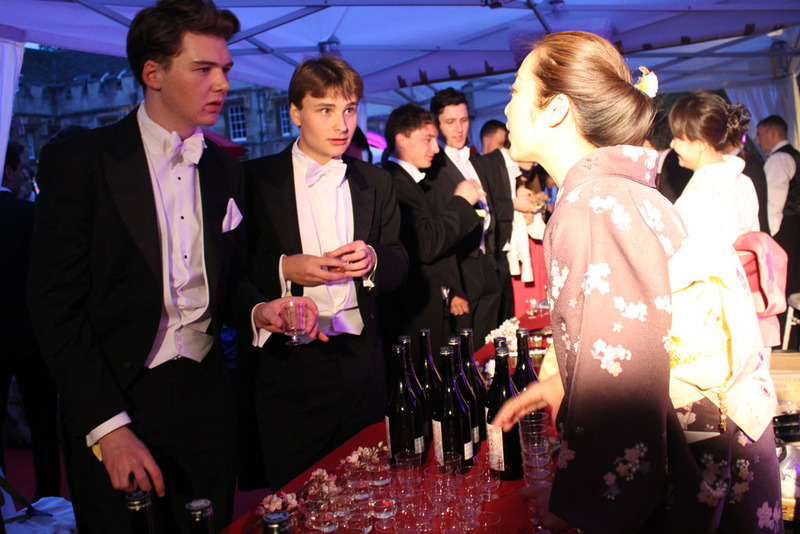 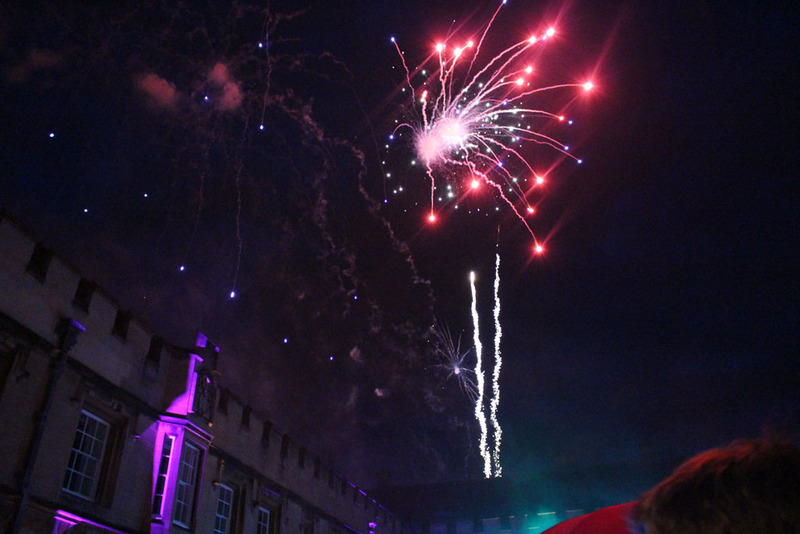 On a mid-summer’s night of the 27th June at the St John’s College Commemoration Ball in Oxford, Japanese ‘omotenashi’ hospitality was extended to a distinguished party of guests. 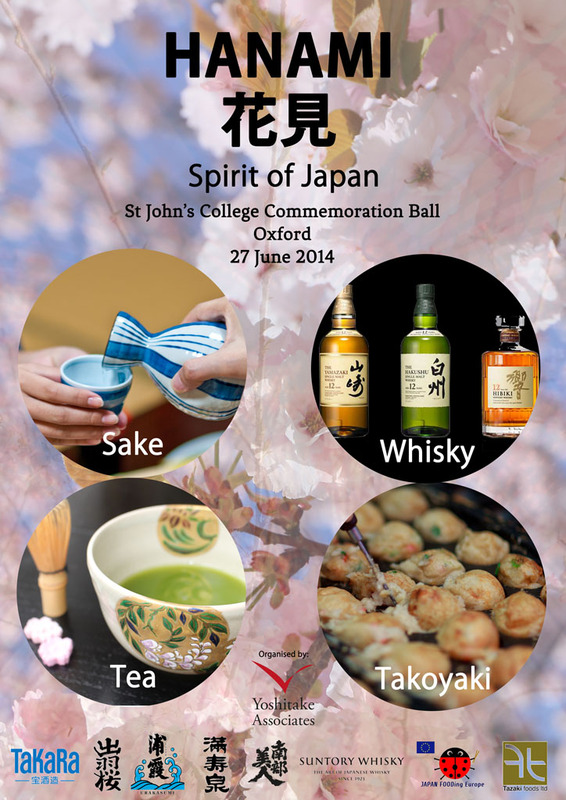 Founded in 1555, St John’s College is one of the oldest and most prestigious colleges of the University, with notable alumni including Japan’s own Prince Fumihito. 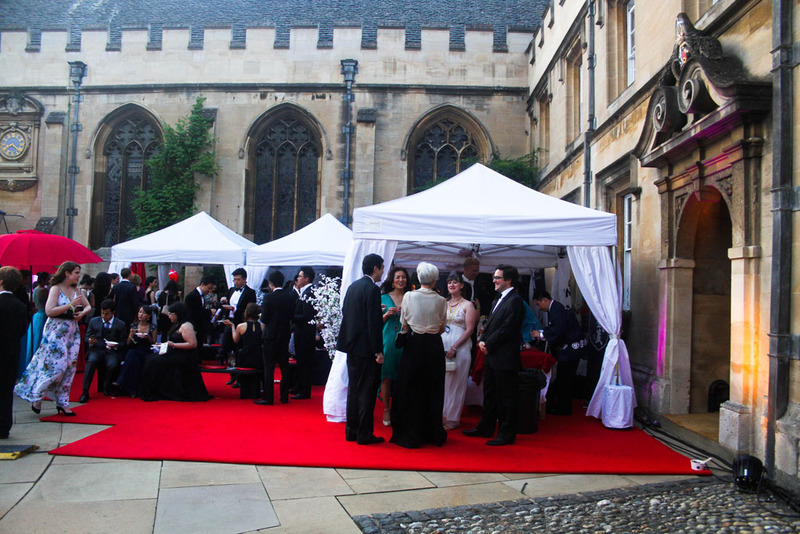 This spectacular triennial white-tie commemoration was attended by over 1300 students, alumni and guests affiliated with the university. 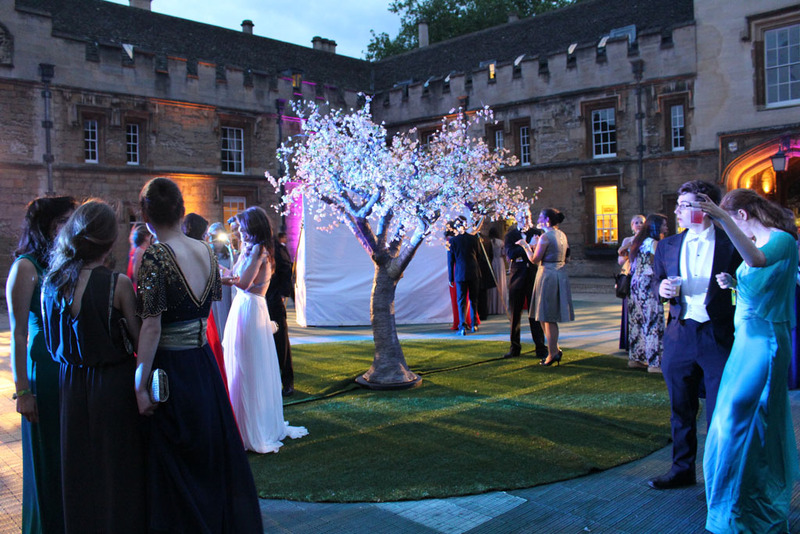 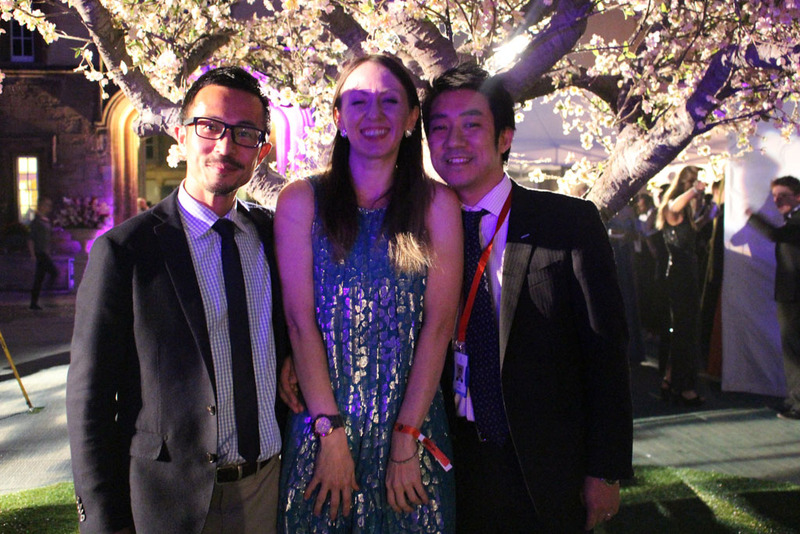 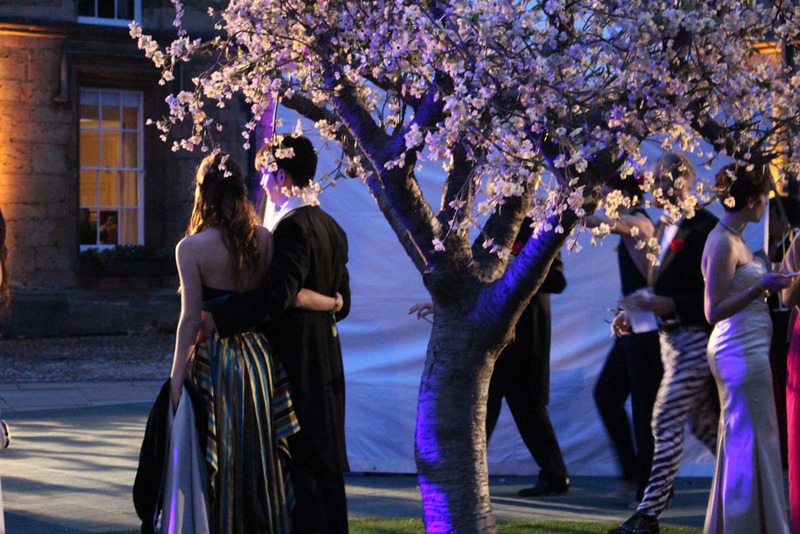 This year, with the theme of Four Seasons, the college courtyards were transformed into pleasure grounds and Japan presented a most attractive and traditional Hanami (cherry blossom viewing) scene in the Spring corner, incorporating striking national colours of red and white. 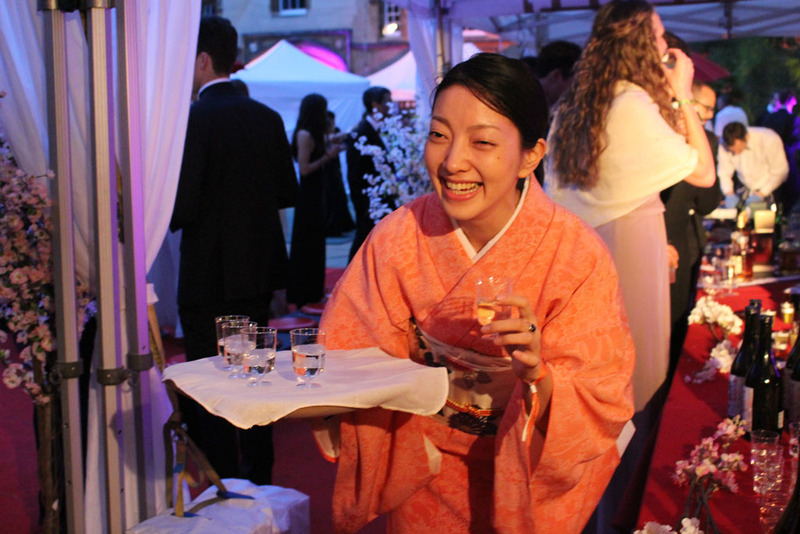 This dramatic Japanese exhibit not only presented a special attraction at the Ball, but it successfully promoted friendship and cultural understanding in delicious fashion to a new generation. 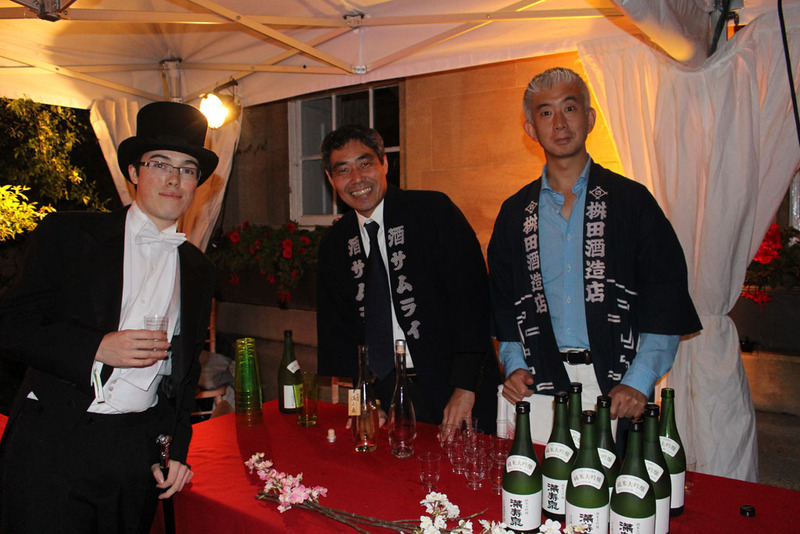 In partnership with the college committee, the inspiration for the Japanese corner was translated into artistic form and organised by Yoshitake & Associates, which represents the Sake Samurai Association in the UK. 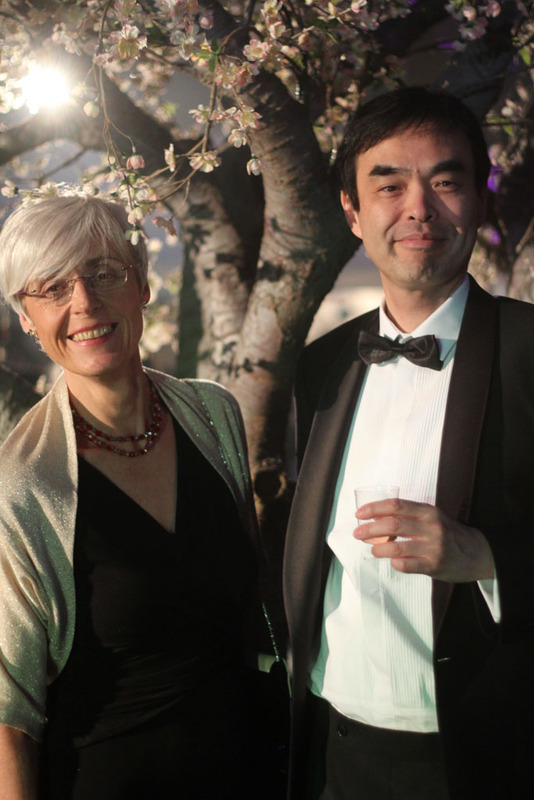 From the Embassy of Japan, Minister Hideki Asari, Director of the Japan Information and Cultural Centre, paid a courtesy visit and received the warmest of welcomes from the President of the college, Professor Margaret J Snowling. 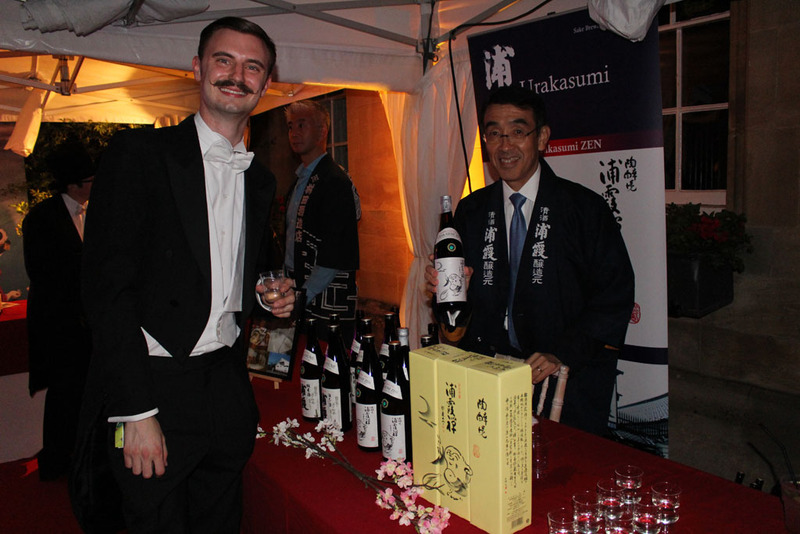 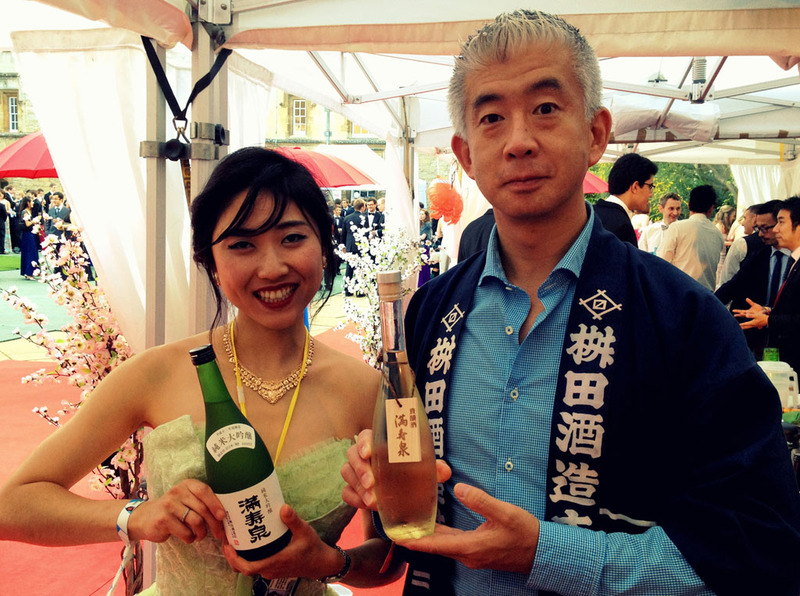 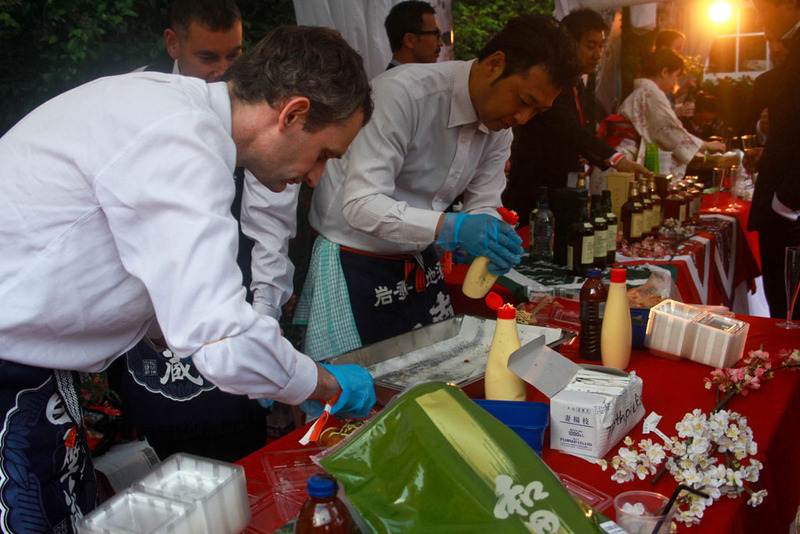 The Hanami corner was generously and enthusiastically supported by Japanese sake, whisky, tea, and food companies. 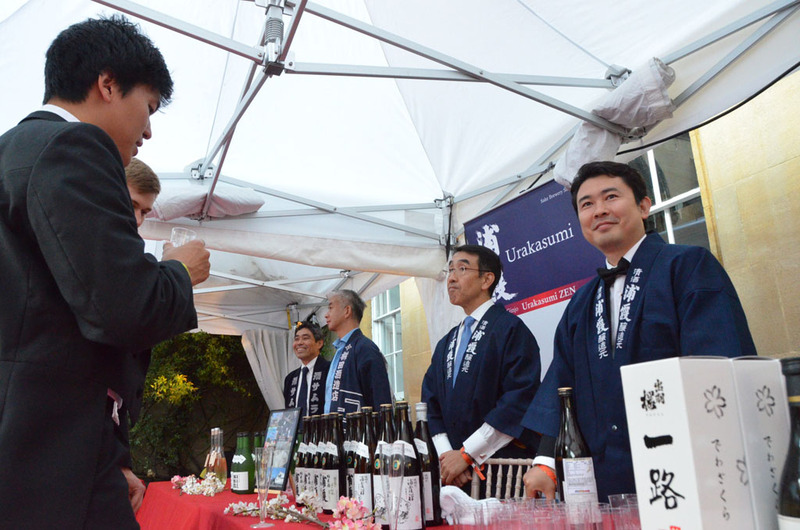 The sake stands were represented by 5 breweries: Shirakabegura (Hyogo), Dewazakura (Yamagata), Urakasumi (Miyagi), Masuizumi (Toyama), and Nanbubijin (Iwate). 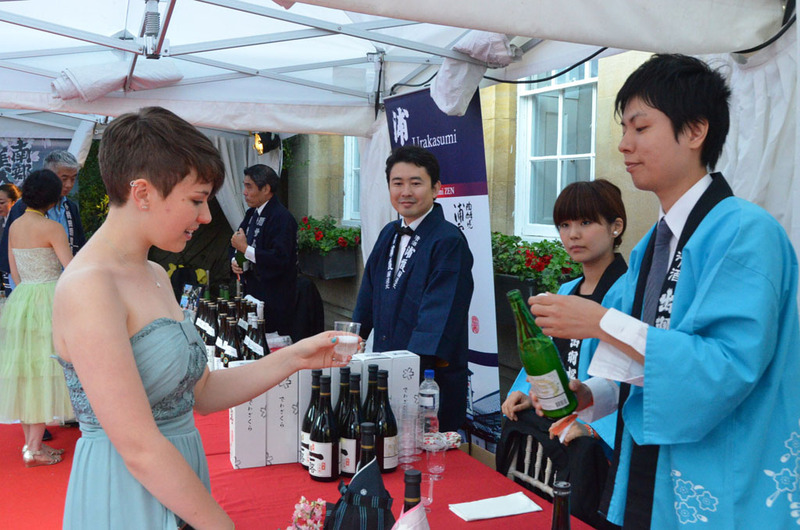 Sake proved to be very popular even amongst those guests unfamiliar with Japan’s national beverage, and it won many new sake lovers. 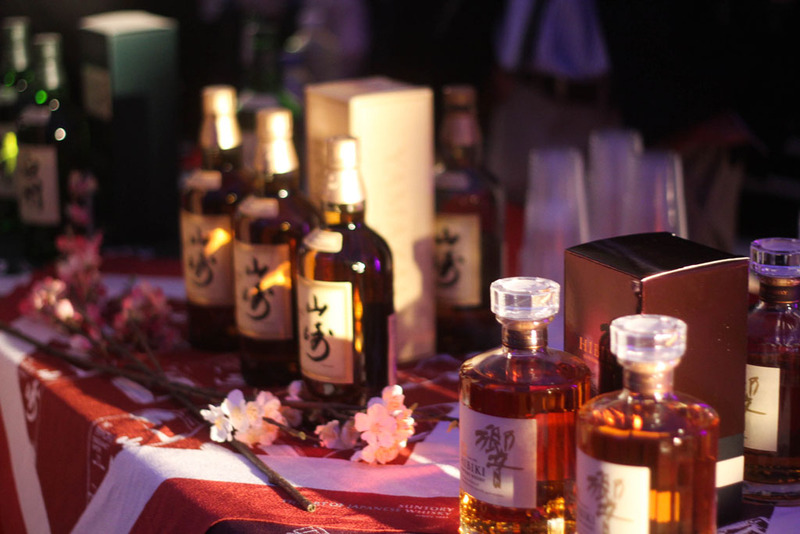 The world-famous Japanese Whisky distiller, Suntory, was represented by two whisky specialists who brought with them the longstanding house brands of Yamazaki, Hakushu and Hibiki. 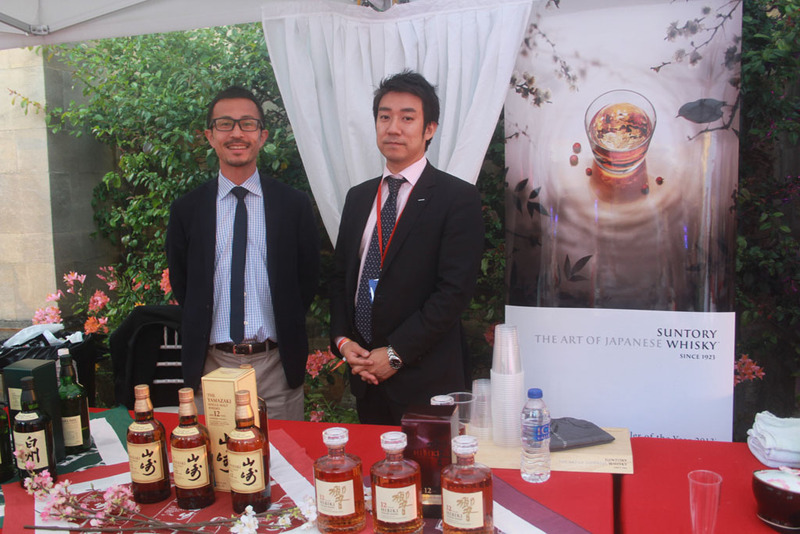 These were served to distinguished young gentlemen who enjoyed the unrivalled opportunity to sip, taste, and learn about these delicious amber liquids in style. 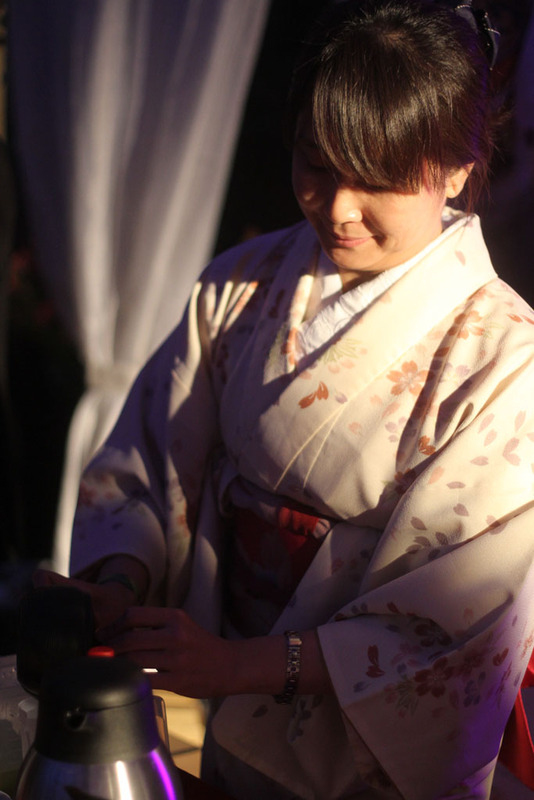 Under a beautiful red parasol, a traditional tea ceremony took place, serving matcha (green tea). 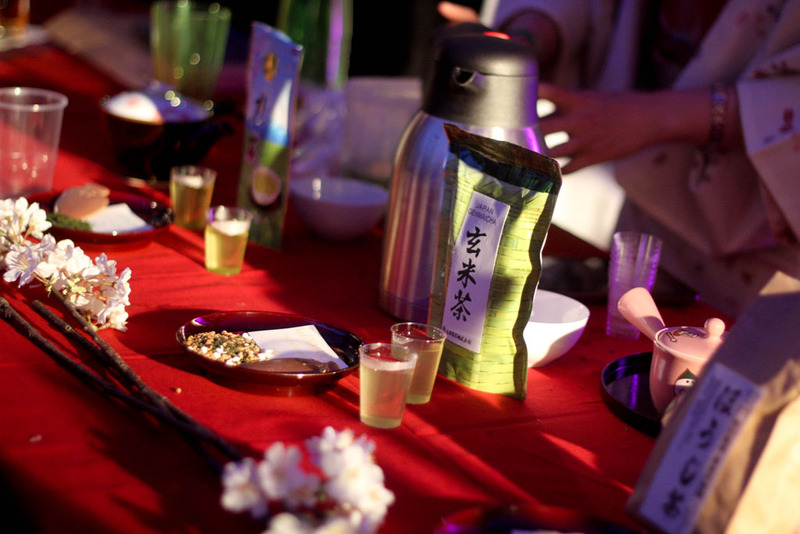 A London-based tea importer, Japan Fooding, offered a rare selection of organic teas and attracted guests by performing the symbolic and iconic tea ritual of Japanese hospitality under the cherry blossoms. 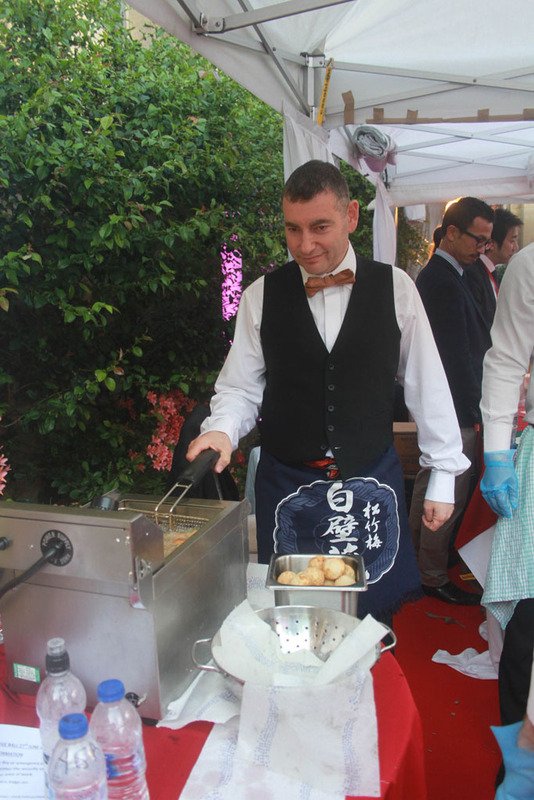 A team from Tazaki Foods UK served Yutaka brand Takoyaki, and this proved to be the busiest stand, with a long queue of attendees eager to try this famous and curious Japanese snack. 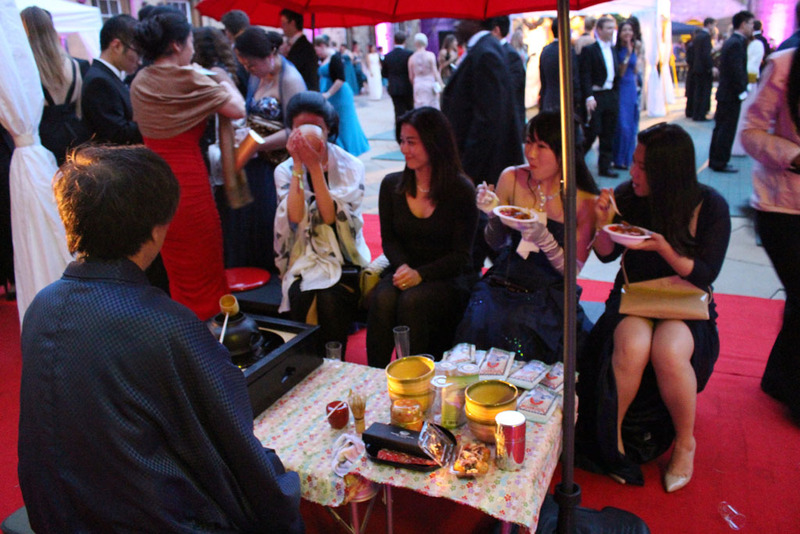 Takoyaki, freshly baked octopus balls, is a typical street food often served at festivals. 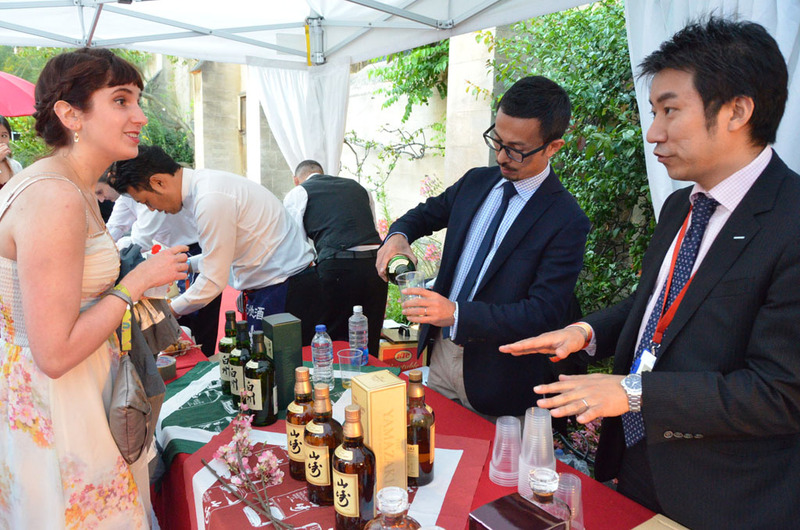 These are now available in the UK and it’s evident that these Japanese snacks are gaining in popularity, just as sushi and sake have been.